Click on the "Typing Club" icon and complete your next keyboarding lesson! 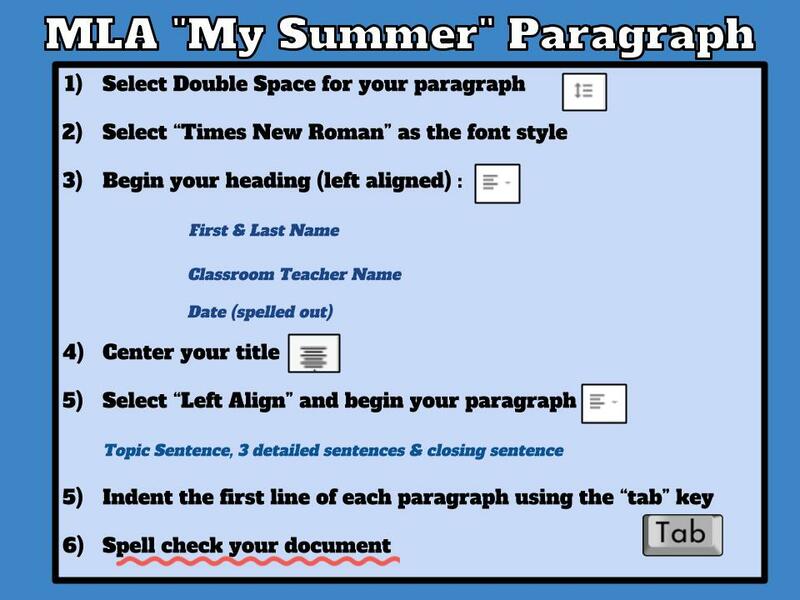 Today you are going to create your own document for the first time. You are going to write a paragraph in Google Docs - sharing information about yourself! This paragraph titled, All About Me, will have a set of formatting rules to follow (see below). Please watch the video and get started! All About Me Paragraph from Patty Barbosa on Vimeo.